Over the weekend we had 3 yellow squash plants call it quits, which leaves us with 2 plants still producing these golden beauties. I have grilled, breaded and deep fried, and sautéed my little heart out of the stuff, and am sick of it. I needed another way to eat it without it being one of those 3 ways. And a way of cooking it that I could freeze and eat later on, like when I’m having a hankering for it again in say, December. While searching my fridge I found a jar of eggplant and garlic spread. Hmmm…now there was an idea! I took 3 squash – they were about 5lbs total I’d say – and sliced them up thinly into half-moons. And threw them into a hot pan with some olive oil and butter. And then got REALLY crazy and added garlic….lots of garlic. Then I went flat out mad as a hatter and threw in some paper thin slices of our super-hot Hungarian wax peppers. I live dangerously. Once everything was nice and mushy and cooked really REALLY good I smashed it further with the back of a slotted spoon until it was good an pulverized. I then packed it into 4 jelly jars, sealed them, and let them cool on the counter. Once they were cool, I labeled them and packed them into the freezer to be consumed at a later date. Feel free to sub zucchini for the yellow squash, or you can live on the edge and mix yellow squash and zucchini – cooks gone wild! This stuff is really good. I seasoned it liberally with kosher salt and freshly cracked pepper until it tasted just right. It’s fabulous of a piece of crusty bread atop a chunk of goat cheese. I imagine it’d be really good on top of some crusty bread with some fresh mozzarella heated under the broiler. It was good on a wheat thin still warm. I definitely recommend serving it warm. Here is the recipe – it’s rather simple so anyone can do it. Add olive oil and butter to a large sauce pot and heat till oil is hot and bubbly. Add the yellow squash and season liberally with kosher salt and freshly cracked black pepper, stirring to combine. Let cook for a couple minutes, then add the garlic and hot pepper slivers. Cook the mixture until the squash starts to look like a mush. Turn off the heat and using the back of a slotted spoon, mash the squash mixture to combine further. Taste and see if more salt/pepper is needed and season until it meets your taste. Put hot mix in freezer safe mason jars and seal. Let sit out until cool, label, and put in the freezer to use when you are ready. 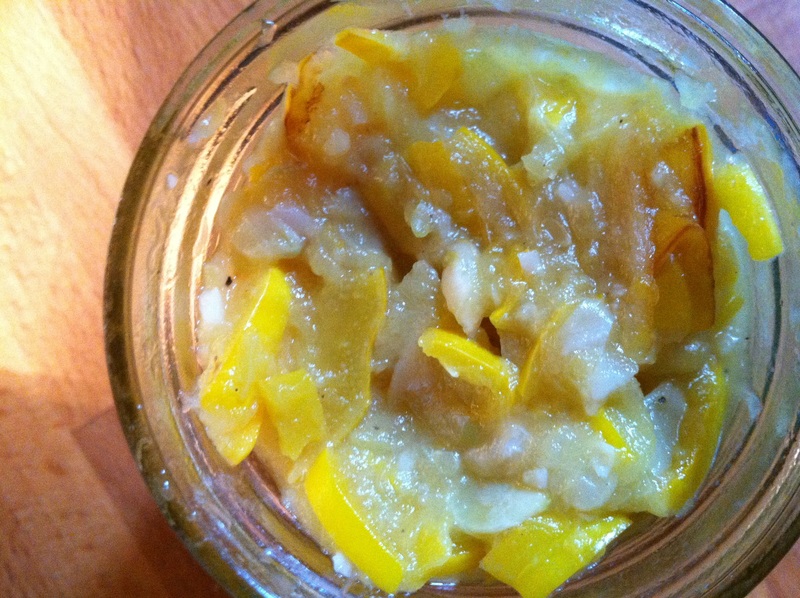 To serve: heat until warm in the jar itself and serve with crusty bread and goat cheese. Or with crackers. Or toasted on some crusty bread with fresh mozzarella. Enjoy! yellow squash spready, ready for it’s close up! Over this past year, I have become somewhat addicted to hummus. I’m not really sure why. Maybe it’s because I discovered the larger variety of flavors at Trader Joe’s, maybe it’s because I am a huge fan of chick peas, or it’s just my obsession of the moment. Whatever the case, I decided to give it a go and make some of my own. This recipe is an adaptation of David Lebovitz’s Cabbagetown Hummus ( http://www.davidlebovitz.com/2008/06/cabbagetown-hum/ ). I didn’t make a ton of adaptations – essentially I decreased the amount of parsley leaves and used some sesame oil in place of the tahini because I didn’t have any on hand. And tahini can be expensive to purchase just to try out a hummus recipe. I didn’t feel that any flavor was lost in using the sesame oil in place…it still tasted really fabulous. 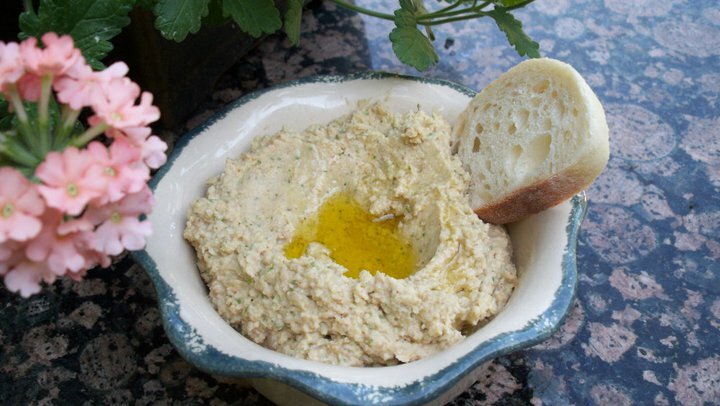 This recipe is for a basic hummus. It’s adaptable. If you wanted to add some roasted red peppers to give it some extra flavor, do it! Fresh baby spinach you say? Go for it! Whatever you do, just be sure to keep the chickpea liquid at hand to add in for extra moisture as needed. This is key. That and use good quality olive oil. If you don’t have olive oil, please go buy some. Do not try and substitute vegetable/corn/canola oil. It is not the same thing. It will taste awful. The culinary gods will cry in agony. You can serve this immediately. I have mine with some grilled pita slices, or naan, or pita crackers, or cut up veggies. It’s great on a sandwich too. Whatever way you choose to eat it, I hope you’ll enjoy it! 1. In a blender or food processor, pulse together the garlic, salt, tahini, olive oil, and lemon juice until the garlic is finely chopped. 2. Add the chickpeas, parsley leaves, chile powder, and 6 tablespoons of chick pea liquid, and pulse until smooth. Stop the machine a couple of times during blending to scrape down the sides to make sure everything gets properly mixed in. 3. Taste, and add more lemon juice or salt if desired, and more of the chickpea liquid until it reaches a thick, but spreadable consistency. You can make your hummus as smooth or as lumpy as you like; I prefer a totally smooth hummus that is lump free. Place in a bowl for serving, creating a well in the center and drizzle additional olive oil on top. Serve with pita chips, crusty French bread pieces, or vegetables. Hummus will keep in your fridge for about 4 days, but can also be frozen if well wrapped for up to two months. Zucchini overload? How about a tasty way to use some of them up? I once read somewhere that if you seed 3 zucchini plants and all 3 take, throw 2 away because they’ll produce more than you can handle. Well, that sounds a little extreme to me. And wasteful. Why throw away perfectly good plants just because they’re going to give you a ginormous amount of food? It’s called share them! Sheesh. That being said, we have 5 zucchini plants, so we are going to be swimming in the things in the next couple weeks. (We usually have some earlier, but the seedlings I planted didn’t make it so we had to plant purchased zukes and they took a little longer). Now, be warned. This recipe has a lot of steps listed and may seem like it’s going to CONSUME your day. It won’t. It goes rather quickly, and is well worth the time and effort you are putting in. The husband and I had this for dinner one evening with a simple salad and some wine. It made me feel like a real chef being able to say ‘we are having a galette for dinner’ to which the husband gave me a weird look that meant ‘what the hell is a galette?’ and then once I told him and he realized there was *gasp* no meat – he was already on a mission to hate it. He of course did not hate it, and made a point to say how awesome it was. Humph. It’s very satisfying to see the look on someone’s face change from one of suffering – as in, I’ll eat it because I’m hungry and don’t want to have to fend for myself – to one of YOU ARE THE BEST WIFE EVER AND I AM SOOOO LUCKY TO HAVE YOU! Ya, it’s nice.We then proceeded to eat the leftovers for breakfast with some coffee and scrambled eggs. Bliss I tell you, total bliss. You could also use yellow squash in place of the zucchini if you have a surplus of that, or live on the edge, mix it up and use both! I’ve also decided i’m going to utilize this crust for a strawberry ricotta galette. I’ll sweeten up the ricotta with some powdered sugar and vanilla (omitting the salt and pepper) and then layer on the strawberries. It’ll be grand! Whisk together the flour and salt in a large bowl. Sprinkle bits of butter over flour mixture and using a pastry blender, cut it in until the mixture resembles coarse meal, with the biggest pieces of butter the size of tiny peas. In a small bowl, whisk together the sour cream, lemon juice and water and add this to the butter-flour mixture. With your fingertips or a wooden spoon, mix in the liquid in until large lumps form. Pat the lumps into a ball; do not overwork the dough. Cover with plastic wrap and refrigerate for 1 hour. Spread the zucchini slices out over several layers of paper towels. Sprinkle with 1/2 teaspoon salt and let drain for 30 minutes; gently blot the tops of the zucchini dry with paper towels before using. Set aside. In a small bowl, whisk the olive oil and the garlic together; set aside. In a separate bowl, mix the ricotta, Parmesan, mozzarella, and 1 teaspoon of the garlicky olive oil together and season with salt and pepper to taste. On a floured work surface, roll the dough out into a 12-inch round. Transfer to an ungreased baking sheet (though if you line it with parchment paper, it will be easier to transfer it to a plate later). Spread the ricotta mixture evenly over the bottom of the galette dough, leaving a 2-inch border. Shingle the zucchini slices attractively on top of the ricotta in concentric circles, starting at the outside edge. Drizzle the remaining tablespoon of the garlic and olive oil mixture evenly over the zucchini. Fold the border over the filling, pleating the edge to make it fit. The center will be open. Brush crust with egg yolk glaze. 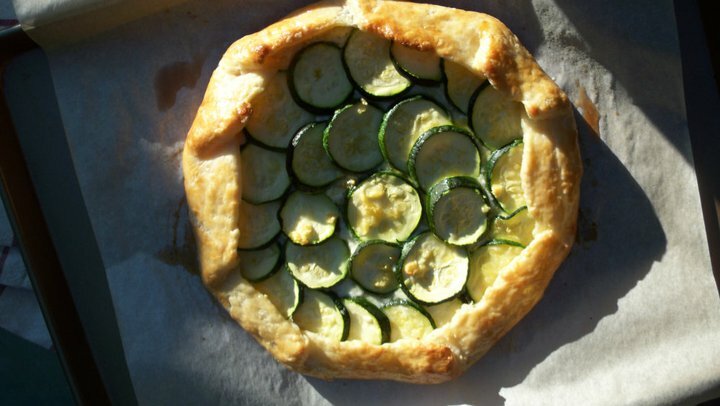 Bake the galette until the cheese is puffed, the zucchini is slightly wilted and the galette is golden brown, about 30 to 40 minutes. Remove from the oven, sprinkle with basil, let stand for 5 minutes, then slide the galette onto a serving plate. Cut into wedges and serve hot, warm or at room temperature. Back in the days of my great grandparents, they canned because they had to. 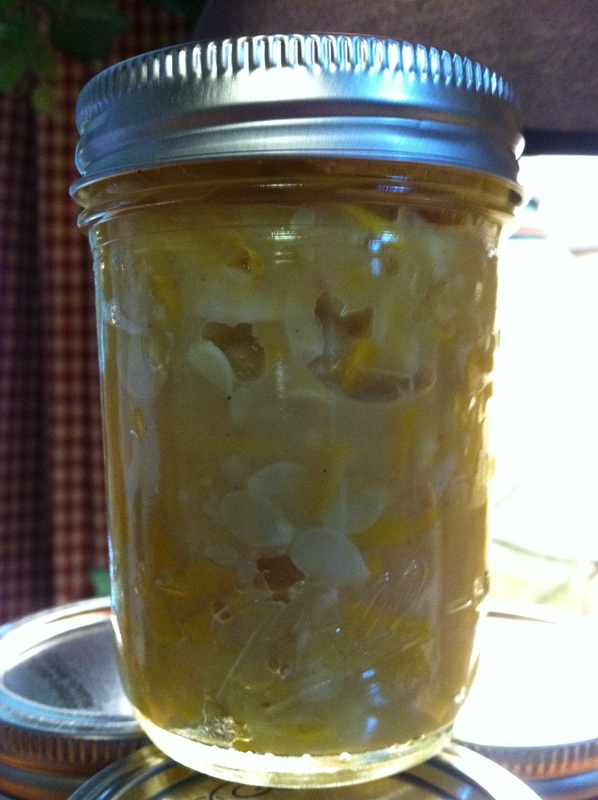 It was the easiest way to preserve their crops and be able to enjoy them well into the leaner months of winter. My gram will tell me stories of how an upset tummy would be cured by drinking some of the canned sauerkraut juice. Or how they would bottle root beer and they could hear the caps popping off some of the overfilled bottles in the middle of the night. Today I can because it’s my choice. Sure, I can go to the grocery store and buy a jar of tomato sauce. But instead I choose to use a jar of my canned whole tomatoes from my garden harvest the previous summer. It’s simple and quick and the best sauce ever, seeds and all. The first thing I ever ‘canned’ in a mason jar was White Zinfandel Jelly. It was easy and delicious. But all I did was make the jelly, put it in jelly jars, and put them in the fridge. In winter of 2009 I decided to give water bath canning a try and made my first batch of strawberry jam. I was hooked. Since then I have canned tomatoes (whole and crushed), hot pepper rings, apple pie jam, applesauce, apple pie filling, zucchini pickles, pickled carrot sticks, pesto and pickled eggs. Canning and food preservation is not hard, but it does require time and an investment in the beginning. When I canned tomatoes, I did them in 7 quart jar batches – because this is all that my canning pot could safely fit, and because they take up to 90 minutes in the water batch canner to be safely canned. A great way to test out canning with minimal investment is to purchase a Ball Canning Discovery kit. It’s pricing varies – I’ve seen it for $10.49 – 14.00 – but it’s a very small investment and let’s you get a taste of canning without having to make a large purchase. image from fresh preserving store - click to take you direct to store. The Ball® Canning Discovery™ Kit provides an easy and affordable way to start canning in just three simple steps. This kit is designed to demystify the home canning process and make fresh preserving accessible, for even the most novice canner. Whether a person has limited kitchen space or looks to preserve a handful of fresh produce from the farmer’s market, the kit offers a beginner’s approach to small-batch canning. They have recipes and tools so no one ever has to feel like they are lost. my canning bible! click photo to go to amazon to read more. It gives you all the possible details you can think of. Low acid food, such as green beans, require pressure canning. This is something I have not yet tried. I have a large pressure canner, but I haven’t taken the plunge yet. For the most part I purchased that so that the husband could can deer meat. And I’m not gonna lie – i’m intimidated by the thing! I have a mental horror show of the pressure canner exploding and there being beans, glass, and molten hot steam all over my kitchen. Eek. So for now I stick to the water bath! And green beans can easily be blanched and frozen for later consumption. I will be doing the blanch/freeze method with the corn we are growing in our garden this year as well. A very simple process to preserve your summer garden (or farmers market) goodness well into the winter months. canning pot – they come in various sizes, I have one that can hold 7 quart sized jars at a time for maximum canning potential. Canning jars – get a variety of sizes. Wide mouth jars are good for freezing items directly in. The box will say “freezer safe” on it so make sure if you want to freeze you only purchase freezer safe jars. I find the wide mouth jars are also easier to fill, especially if you are doing pickle spears or eggs. I also save the large pickle jars. These are great for making a big batch of anything you are pickling using the refrigerator method. Canning book – like the one posted above. They are great to get a variety of canning safe recipes. Always make sure to follow the directions! If you have canning questions, feel free to leave a comment and I’ll help you as much as I can. This is something I truly love and I’m adding more things to my canning/freezing/food preservation list! Disclaimer: I am in no way affiliated with ball canning and the views expressed here are my own. The above is my opinion of a hobby and craft that I hold near and dear to my heart. I have become obsessed with wheat beers. Maybe it’s because it’s summer, maybe it’s because i’ve become a beer snob since we started going to the bar/6 pack shop up the street from our house that has over 13oo beers (36 of which are also on draft with an additional 10 to be added) so I get to get away from your standard variety of beer offerings and branch out to try many new things! They had posted they were going to have their Wednesday special beer to try was a Watermelon Wheat beer. I was intrigued. Watermelon you say? Wheat beer? 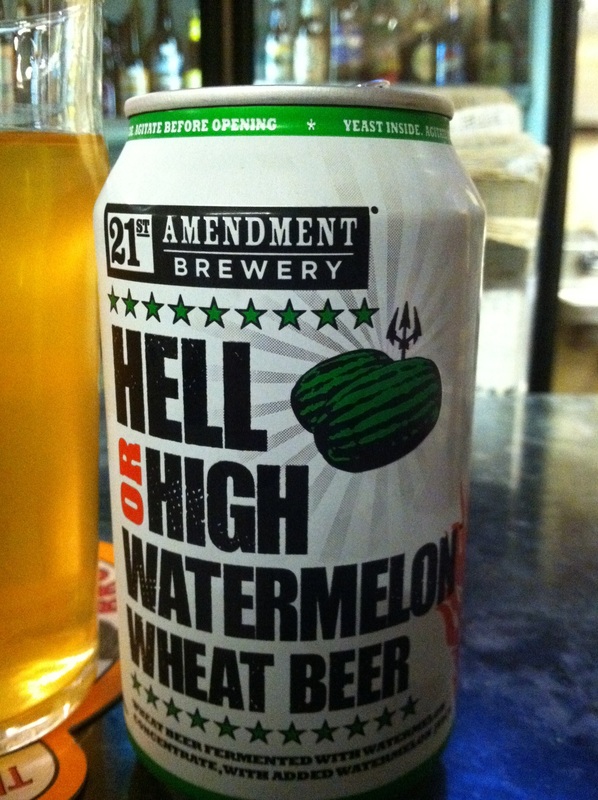 Watermelon + Wheat beer? I am game. The husband and I went and it was summertime in a glass. Most summer beers have a citrus flavor – lemon, lime or orange. These are good, don’t get me wrong. However this beer was something unique. It has a nice smooth flavor without any of that bitter hop aftertaste. It’s crisp and refreshing. You can taste the watermelon. It’s not overpowering but it is most certainly present. And here is the kicker – this beer comes in a CAN! And it’s still good. No metallic can taste that some beers can get. I personally rate it 5 stars. It’s nice to have a beer that differs from the usual summertime offerings. The 21st Amendment Brewery is based in San Francisco (sigh). I want to go there. I want to do keg stands with this beer. They do of course have other beers, but currently my love affair is way to intense with this particular version of their beer to give any others a try just yet. If you can get your hands on a can of this, certainly give it a try. I’m trying to locate a case to keep and enjoy throughout the rest of the summer when the urge strikes. If you go to their website, they have a vendor locator that you can search for someone near you! Watermelon Wheat beer - summer in a glass. or can. whichever you prefer. Basil is one of my top most favorite herbs. I love chopping it up to put on top of homemade pizza fresh out of the oven, mixing it in with sauces, or adding a large leaf to the tomatoes when I’m canning. This year, I planted about 6 basil plants. They are doing wonderfully – REALLY wonderful. As in, I’m up to my eyeballs in basil! The first plants I had are starting to get ‘woody’ and flower, so I skipped pinching off the flowers and just cut the plant down by half. That way the plant will continue to produce more basil for me all summer long. If you have basil plants, be sure to pinch off the flowers. This is a sign the plant is going into shutdown mode and it will stop growing and producing more of those delicious leaves. If you’ve got a surplus of basil, this is a great way to use it up and be able to have that summertime flavor well into the winter. I froze my pesto in 4oz mason jars so I could grab one whenever I wanted some pesto and let it thaw. If you do it this way, make sure to buy “freezer safe” mason jars and leave room for expansion. This recipe yielded 5 of the 4oz jars. I froze 4 of them and used one as a topping for quick bruschetta (whipped cream cheese mixed with shredded mozzarella, layer of pesto, layer of finely chopped tomato. serve with sliced baguette). You can also freeze the pesto in an ice-cube tray and put the frozen pesto cubes into a freezer safe bag for later use. Put all ingredients in a food processor. Pulse until all ingredients are well combined. Place in mason jars and freeze until ready to use. 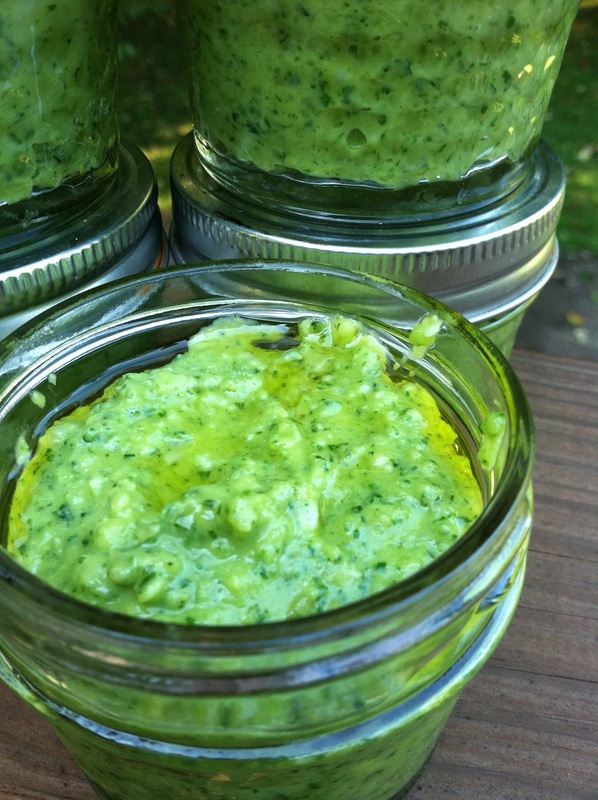 If not freezing, I recommend using in a week to avoid the pesto taking on a not so bright green color. Enjoy! 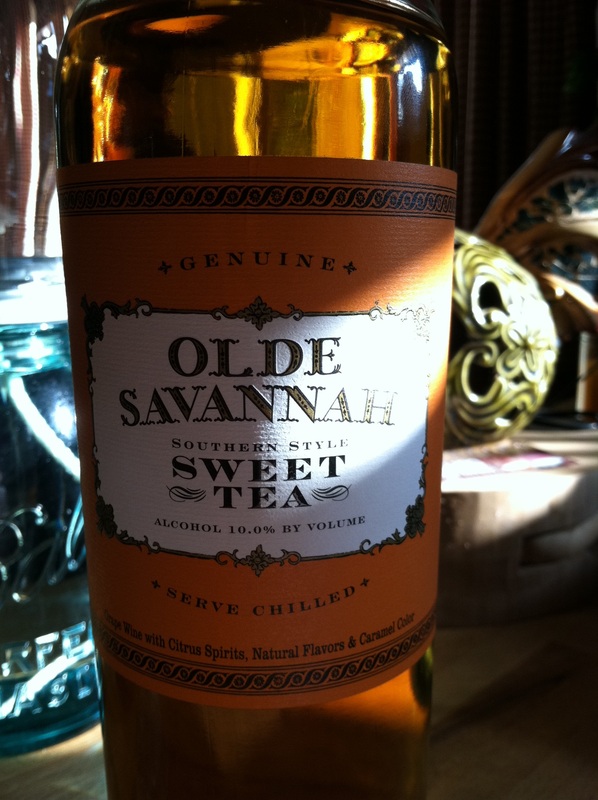 Review -Olde Savannah Southern Style Sweet Tea Wine. Yes Wine. When I go to the liquor store, I always like to scope out the offerings just to see anything new out there or anything that I like but don’t necessarily need at that moment that is on sale. While scanning the shelves, I came across this Sweet Tea wine. Hmm. Then I saw that it was on sale for $4.99 and had an instant $1 off coupon. Wine, for $3.99 a bottle? Well, I wasn’t sure how good it was going to taste being so cheap, but I figured, what did I have to lose? So I bought 2 bottles – one to try that night after it was well chilled, and the other for the girls party I was having that weekend. That night at dinner the husband and I shared a bottle of it and boy were we both surprised. It was very good! It essentially tastes like some boozy iced tea. Needless to say we drank the second bottle the following evening so I had to go get some more. I went to the liquor store by my grams and they had it for $2.99 a bottle between the sale and the coupon. I bought 5 (only because that was all they had on the shelf!). The girls loved it as well, because it was all gone that night. I’m thinking next i’ll try it as a sangria. Mix in some raspberries/strawberries and use a couple glugs of sweet tea vodka – i’m sure it will be a hit. You can’t beat a wine that is super easy on the wallet, actually tastes good, and you are happy to share it with others.